Tuesdays -Fridays you can now get poké delivered straight to your door. 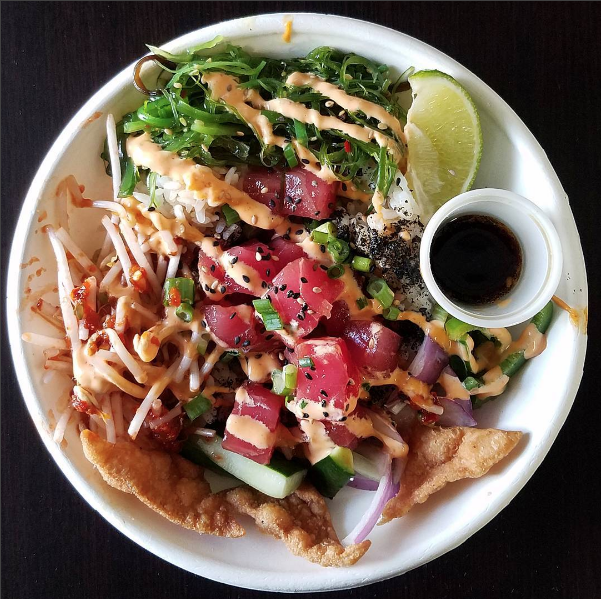 We’ve been working with Skip The Dishes, but today we are excited to let you know you can order poké through Uber Eats from 4pm-9pm Tuesday through Friday. Get it at your office, your house, even your local indoor swimming pool! Every time is island time. Nile Woodson and Mico Cordero have accepted the #pieofhopechallege! We are raising awareness for the opiate epidemic that’s happening in our city by supporting Marin’s Hope, an organization here in Ohio that provides sober living for recovering family members who are committed to changing their lives for the better. We nominate: Jonathan Hawker, Christopher Hawker, and Alexander Mockenstrum next! @cheapeatscolumbus Holy poké! So good. Hai Poké © Copyright 2017 | All rights reserved.